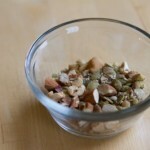 An easy way to boost the healthy fats and plant protein of any ‘ol salad. 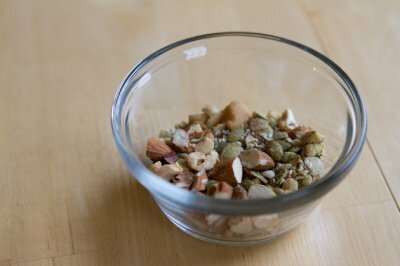 Place cashews, almonds, pistachios and pumpkin seeds in the bowl of your food processor. Pulse a couple of times, just until the nuts and seeds are broken down slightly. Alternatively, chop with a sharp knife. Add to a bowl with remaining ingredients and stir to mix thoroughly. Now you’re ready to sprinkle!